Few other compacts have the longevity and renown of Honda’s Civic. And now, the 2018 Honda Civic Coupe compact is back to once again carry on in this fine tradition. A sensational blend of desirable traits, the new Civic is stylish, comfortable, sophisticated, efficient, and convenient. And, backed by the strict safety systems at Honda, the new Civic is also extremely secure. 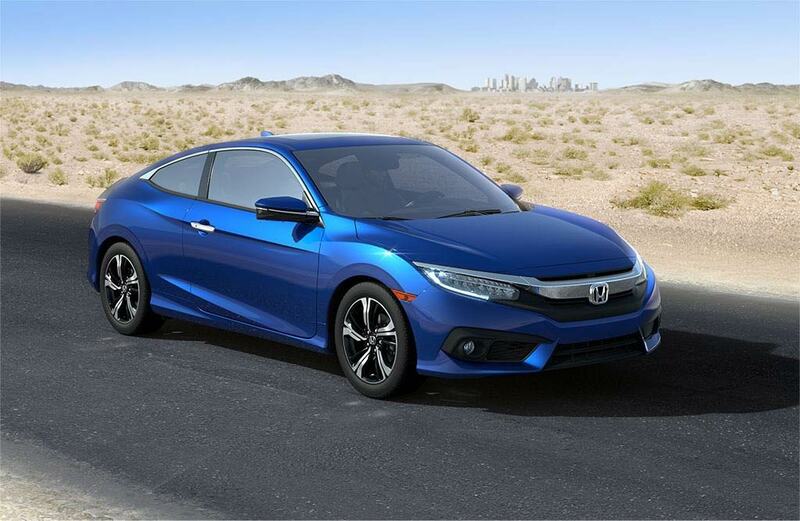 Rock Honda in Fontana, CA is proud to now carry the new Civic Coupe, in stock today and ready for test drives. If you’re anywhere in San Bernardino, Rancho Cucamonga, Inland Empire, or the greater San Bernardino County area, come on down to Rock Honda and check out the new 2018 Honda Civic Coupe compact today! A vast array of custom features and options are available in the new 2018 Honda Civic Coupe compact. Inside and out, this coupe is fantastically designed. 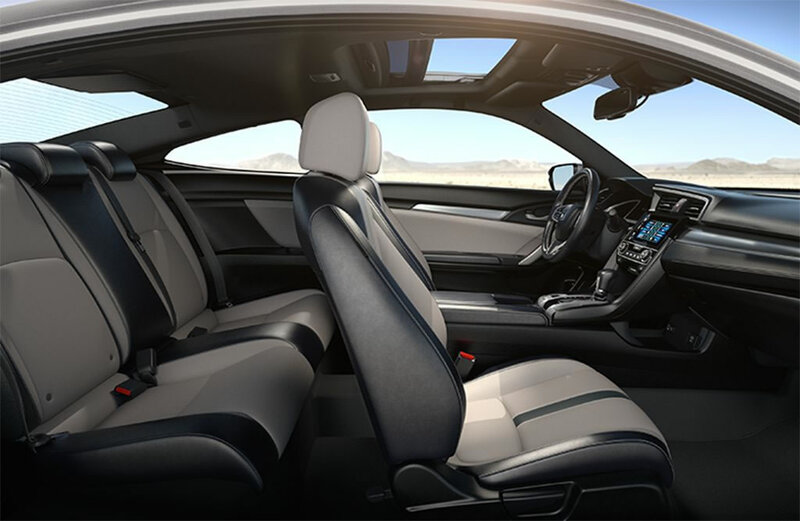 Interior features such as adjustable head restraints and manual height adjusted driver’s seat, automatic climate control system, Bluetooth® streaming audio, and advanced front airbags (i-SRS) are but a few examples of the many available features. Outside, features like power exterior mirrors, security system with remote entry and trunk release, multi-angle rearview camera with guidelines, and Vehicle Stability Assist™ (VSA®) with traction control help keep the new 2018 Honda Civic Coupe compact safe and convenient at all times. Come check it out today! Along with its wide selection of custom features, the new 2018 Honda Civic Coupe compact also offers exceptional performance. At its core on base trim levels, the Civic is powered by Honda’s 2.0L inline 4-Cyl. Engine, with output of 158 horsepower and 1385 lb.-ft. of torque! On higher trim levels, the Civic comes with the inline 4-Cyl. Engine w/Single-Scroll MHI TD03 Turbo and Internal Wastegate, boosting output to 174 horsepower and 162 lb.-ft. of torque! 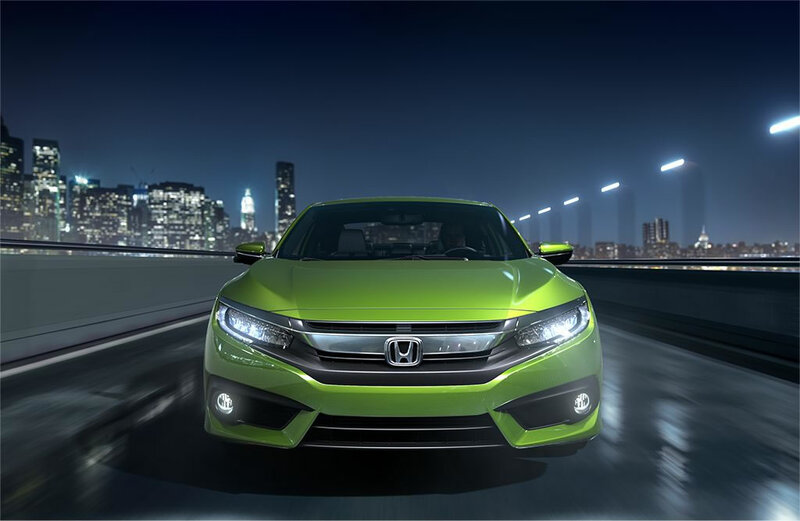 Power like that is sure to keep you thrilled in the new Civic Coupe. Come on down to Rock Honda in Fontana, CA and check out the new 2018 Honda Civic Coupe compact today! See you soon!